One of the more anticipated movies of the year, Rouge One: A Star Wars Story, is hitting theaters this Friday and to get your ready for the event, Google has added a set of Rouge One stickers to Google Allo. 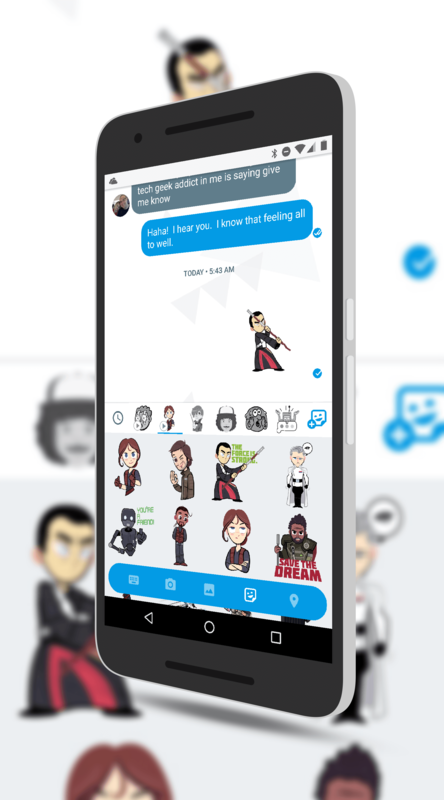 Now when you use the new messaging app, you can add the Rouge One stickers to your sticker options and send them to friends in your messages. To add them, just open up Allo and when you are in a message, tap the + in the text field. Now tap the Sticker add-on button, the one in the far right of the bar, and you will see the option to download and add the Rouge One stickers to your account. In all, there are 23 stickers in the pack, which is free. release a pack for Fantastic Beasts and with Netflix to offer a pack for the original series Stranger Things. The challenge facing Google, as we all know, is that Google Allo doesn’t have a massive user base on Android and it is even worse on iOS. Obviously these packs are aimed at boosting that install base a bit. If you haven’t tried Google Allo, it is free and available in the Play Store.